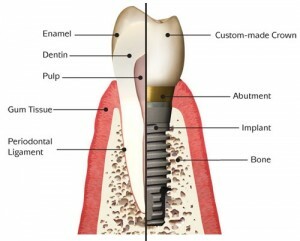 Thinking of getting dental implants in Providence, RI? The following guide lists the top 10 dental clinics as well as what you can expect to pay for a dental implant in Providence. Click on the profile of a dentist near you to read more about them. Here are some examples of how much people have paid for dental implants in Rhode Island. Dr. Fertik and Dr. Broderick are specialist in periodontology and offer their clients a course of treatment toward better periodontal health. Periodontics Inc. offers services from basic patient education on how to maintain a better oral health, to multiple levels of periodontal surgery’s and Dental Implant placement. Choose Periodontics Inc. for all your periodontal services in a comfortable caring environment. Request an appointment for either of our locations. Call us today! Rhode Island’s premier Dentist. We are here to help you get that beautiful smile you always wanted. Our friendly staff will make you comfortable and answer any questions you may have. We look forward to seeing your smile soon. Please give us a call! Thank you for choosing Dr. Brad R. Kaplan for your Oral & Maxillofacial surgery, or Dental Implant needs. Our exceptionally trained team is specialized in: dental implants; bone grafting; dental extraction; wisdom teeth removal; oral/facial trauma; apicoectomies; oral cancer evaluations and the excision for the biopsy of tumors/cysts, and other procedures. Welcome! 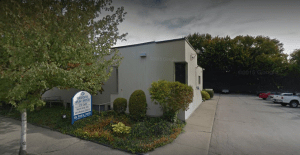 Since 1970, Periodontal Associates, Ltd. has been working with patients to provide the best periodontal care for patients in the Providence and Middletown area’s. Dr. Badlissi and Dr. Shapiro’s experience in periodontics is coupled with genuine concern for their patients. All of our staff is dedicated to your comfort and prompt attention as well. Our goal is to ensure the health of the gums, connective tissue and bones in your mouth. Dr. John Ricci – Family Dentistry was founded in 1987, after purchasing the pre-existing practice of Dr. Ciaramello. A lot has changed throughout the years, but many things have stayed the same. We are proud to have generations of patients, some for almost 30 years!